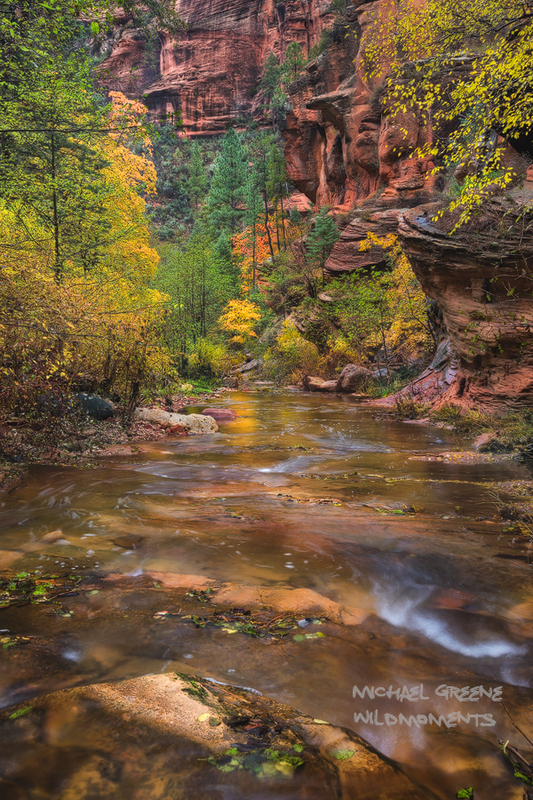 A unique perspective of the West Fork of Oak Creek Canyon captured during peak fall colors. The trail is located near Sedona, AZ. Photo © copyright by Michael Greene.